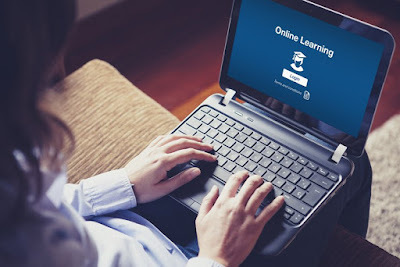 Online learning is becoming a great trend in this modern era. Your trainees and the learners feel more comfortable with the online courses offered by you. Being businessmen, you should be aware of the tools that create the e-learning modules. Before choosing software or a tool, you must be aware of its efficiency, its pros, and cons. spring QuizMaker: This tool helps you to include online assessment tests to assess your candidates. The tool is designed in such a way that you can include objective type questions and answers that tests the logical thinking capabilities of your hired employees. Even after the successful hiring process, you will be worried or in confusion whether the chosen employees have real stuff to work on your projects. For this purpose, you will conduct online assessment tests. Apart from the learning modules, this tool blends the study materials along with the tests to test the listening and comprehension skills of your trainees after the end of each training session. iSpring TalkMaster: This tool helps you to transfer your communication to the selected recipients during the training sessions. Instead of taking long lectures, you could transfer your voice messages apart from the lecture notes. This tool is supported with two features. Either you could transfer your voice or the voice could be converted into a text format and reaches your trainee. Therefore, e-learning creation tools play a major role in choosing the platform where you could bring the picture of e-learning in a presentable way. You may wonder how your contents could be uploaded in the web browsers and youtube channels to support the e-learning training. Through the help of e-learning content authoring, the prepared study materials and the question banks can be easily uploaded either in the browsers or in the mobile applications. Articulate 360: With this tool, your content will be quickly authored to the corresponding websites of your client and the employees. While in the training sessions, you could easily articulate the scheduled tests and the life lessons for the new joiners in your company. The overall process of e-learning is presented in a concise manner with the help of this tool. Adobe presenter Video express: This tool helps you to create your video lessons within a few seconds. This tool is easy to use and saves your time. Moreover, this tool is available in the form of software application programs that could be easily installed in the mobile phones and the systems with the help of Google Chrome. The audio and video live lessons in the training sessions could be successfully promoted with the help of this tool. Moreover, the tool offers several options to pause, play, and to skip the lessons whenever necessary. A bulk learning modules could be authored with this tool along with the live videos. Under each description of the learning module, video lessons are attached to it. This makes your learners grasp the things quickly rather than reading between the lines. Thus e-learning content authoring could be made more efficient with this tool.